We eat with our eyes. In fact, our brains often make judgements on the taste of food based solely on the colours, shapes, textures and overall visual impact before we’ve taken the first bite. So, when we are entertaining, we often do our best to make our plates look appealing. And what better canvas is there than a creamy white cheesecake? Set aside your raspberry swirl and try 5 of our favourite cheesecake toppings that’ll leave your guests wanting more – before they’ve even tasted the cake. The fresh produce aisle is home to a rainbow spectrum of gorgeous (and delicious) raw toppings. 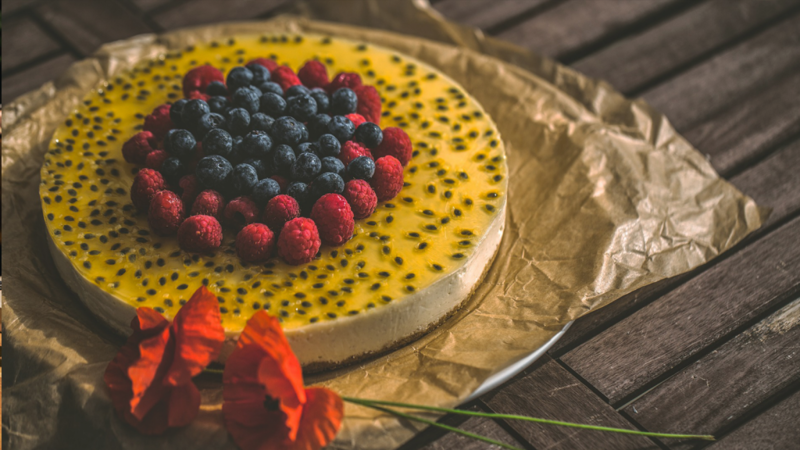 Fresh strawberry halves make for a light and easy centrepiece on our Lemon Cheesecake, whilst fresh berries, pomegranate seeds, kiwi fruit rounds, cucumber ribbons, mango slices and bright circles of citrus all make for striking, sumptuous displays. Try adding a few sprigs of mint, edible flowers or lime zest on top, too! Stewed, grilled, poached and caramelised fruits make for spicy, warm and sometimes even syrupy toppings. We love peaches (you can find some easy recipes for grilled, fried, poached and pureed stone fruits in our 4 ways to cook peaches recipe). We also love old school stewed apples or caramelised citrus slices too. Nuts are a great way to bring an added layer of flavour and texture to your cheesecake. If you’d like to keep it simple, try scattering crushed pistachios or flaked almonds over the top of your cake. If you’ve used nuts in the base of your cheesecake, this is a great way to repurpose your leftovers. Alternatively, add a sweeter textural effect with a homemade nut crumble – simply chop up nuts, chocolate and brown sugar to sprinkle over the surface. Try out praline shards, too – place nuts and a layer of caramel (heated sugar) over a baking tray and leave to set before breaking up into shards. You can’t go wrong with chocolate: Why not keep things easy with a simple melted chocolate drizzle, dark chocolate ganache (you can find a recipe for that here) or indulgent white chocolate sauce? 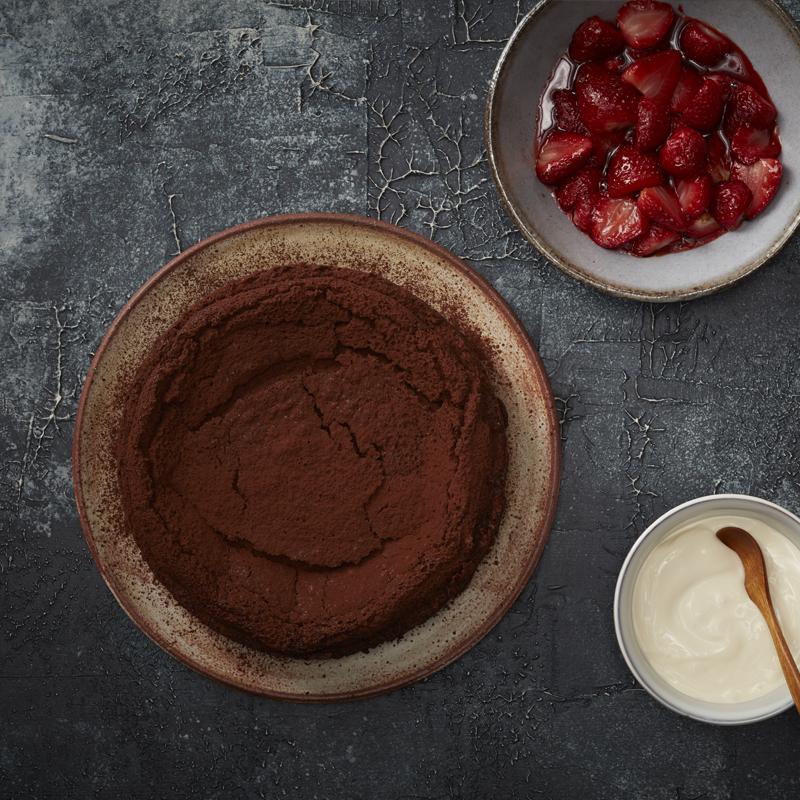 Alternatively, crumble chocolate cookies over the top, or whip up a light layer of chocolate mousse. Although we’ve moved on from the raspberry swirl, there’s still some space in our repertoire for jams and syrups. Layer your creamy cheesecake with a smooth pouring of our favourite Cherry Syrup, or support some fresh citrus slices with a dollop of Marmalade. Lemon curd, fruity jellies, coulis, pureés or floral-infused syrups all make for great toppings – and even greater visual impact. 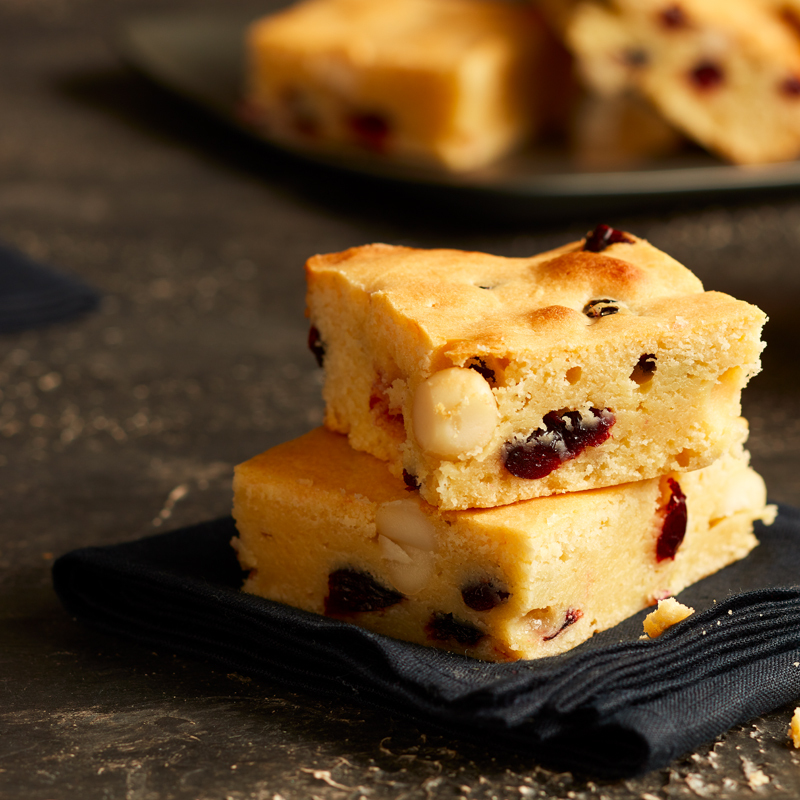 Added before a layer of fresh fruit and you’ll have a zesty surprise for your tastebuds. Looking for a great cheesecake recipe? try our Lemon cheesecake recipe.